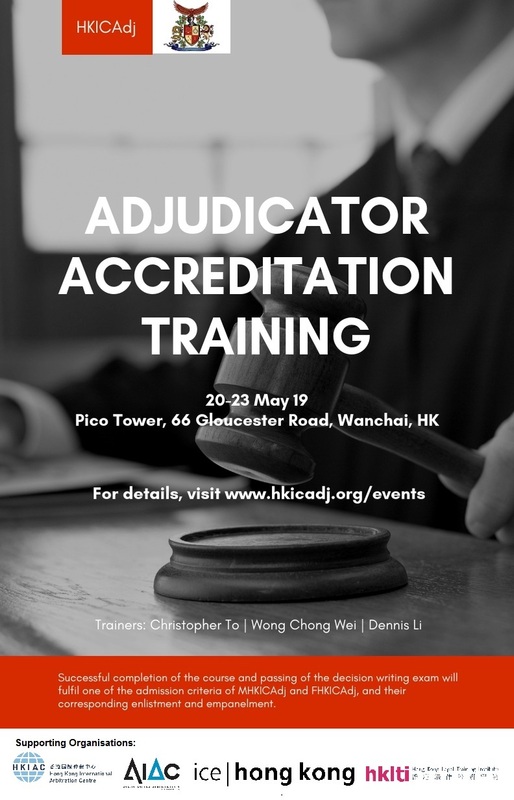 Hong Kong Institute of Construction Adjudicators (HKICAdj) is glad to deliver a 4-day adjudicators accreditation course on 20-23 May 2019. This course will be delivered by experienced adjudicators and cross-border expert trainer. Candidates who pass the final decision writing exam and fulfil the working experience and professional qualifications requirements will be admitted as Members or Fellows of HKICAdj. They will be put on the List or Panel of Accredited Adjudicators correspondingly. The course includes a free top up course for candidates successfully listed on the HKICAdj List or Panel of Accredited Adjudicators to familiarize with the Security of Payment Legislation upon its enactment.